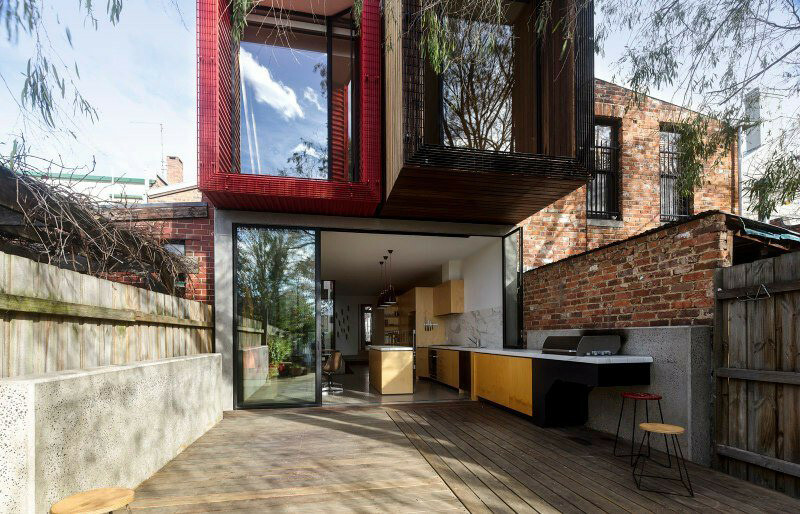 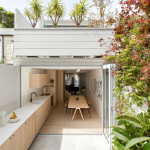 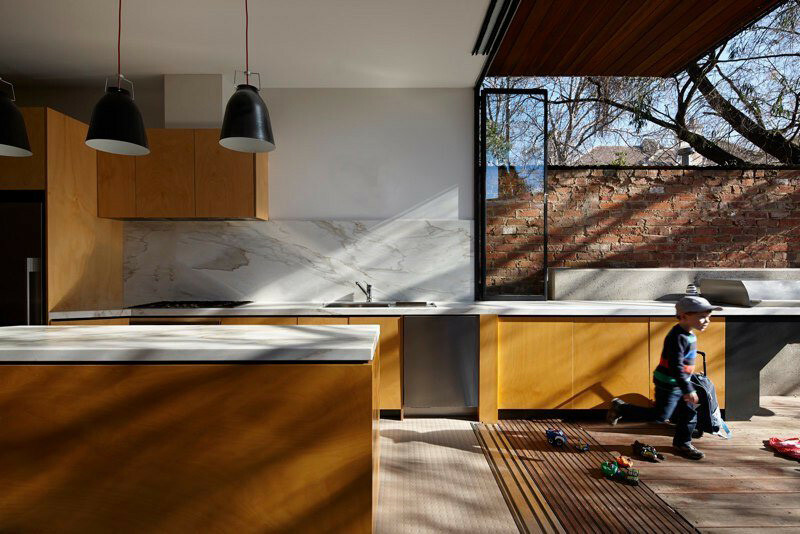 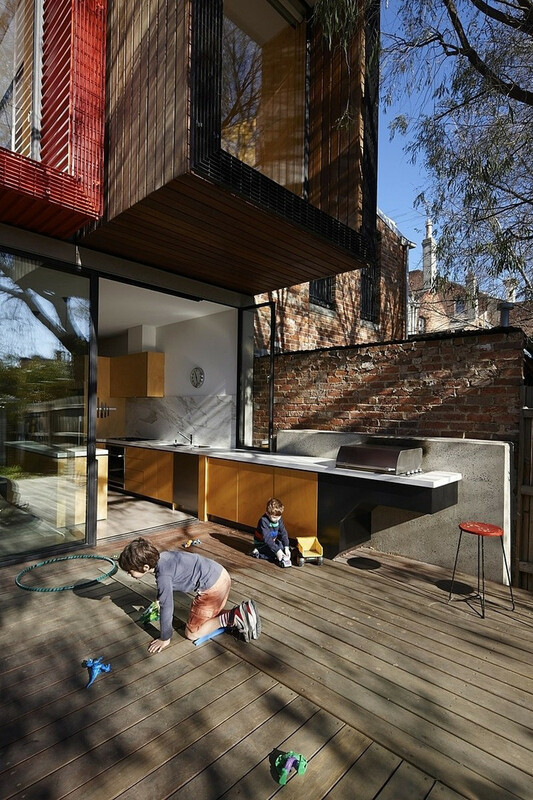 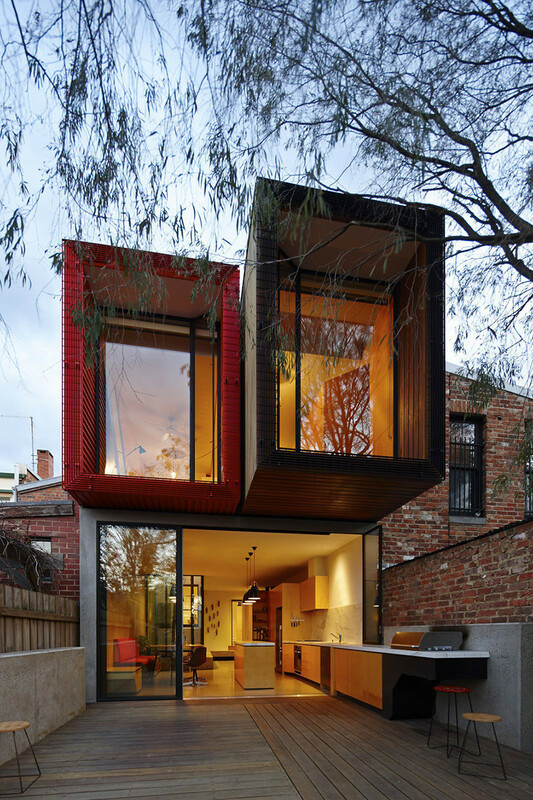 In this home in Melbourne, Australia, designed by Andrew Maynard Architects, the kitchen extends from the inside of the home, out onto the back deck. 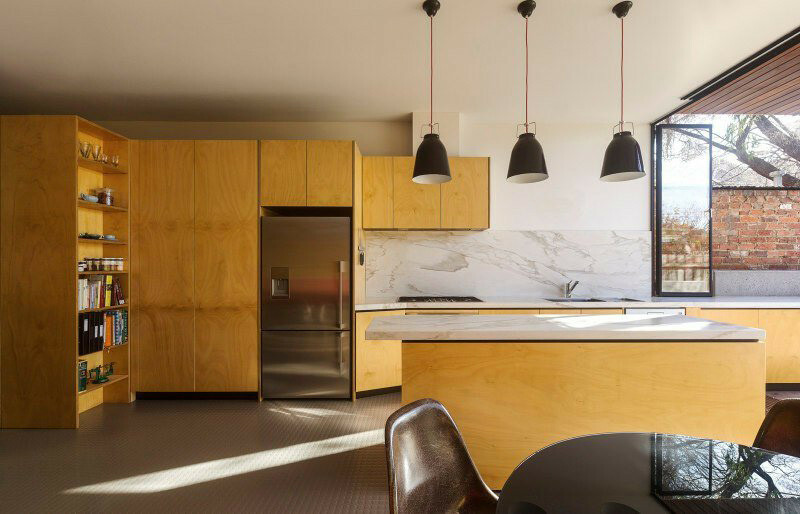 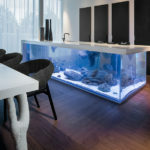 The seamless design provides additional counter and storage space, as well as a spot for a barbeque, a necessary item for any Australian home. 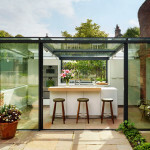 By having the space open to the backyard, it also allows for added entertaining space. 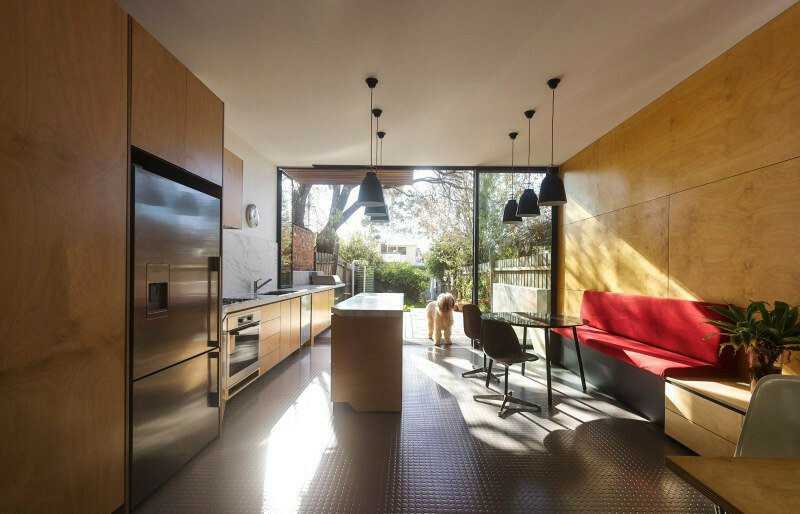 Here you can see how there is a window that closes to meet the large sliding glass doors.